You know it’s beginning to look a lot like the holidays when you start seeing red and glitter everywhere you turn. 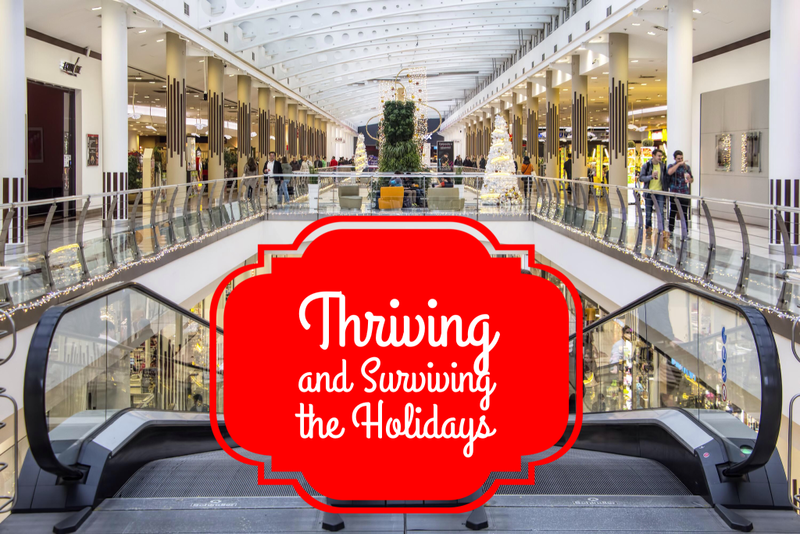 When you own your own business, the stress can triple in size from Thanksgiving to New Year’s Day. I’m always tempted to scale back in December, to let my business run on fumes. But this is not the easy way to get through the holidays when you own your a business. Since my goal is to finish well this year, I came up with some tips that help me push through to the end of the year. Here’s hoping they help you, too. Don’t be an overachiever when it comes to decorating, baking and buying gifts. Keep it simple when decorating your office or home. One tree nicely decorated goes a long way. During the holidays I only bake for my family, so if my child’s school needs some baked goods, they will likely come from my local supermarket. Baking is hard work. I would rather spend the evening catching up on work, hanging out with my family or resting than baking and cleaning up the kitchen at 10 p.m. I also have scaled back on decorating my home and tree. I found that a little goes a long way. I now take out fewer boxes from storage and decorate only one big tree. When you decorate with less, then you have little to take down and store again. I have enjoyed my sparse decorating just as much as I did my extravagant glitz from previous years. When buying gifts, keep it simple. Go with your gut and don’t over think it. Using your lunch hour to shop online while chomping down your sandwich can save you lots of time. Keep your routines going. When everyone is out shopping and attending parties, the tendency is to go off schedule with your work day, but don’t. Stay on schedule, keep those regular hours and seize the day. When you attend a holiday party, don’t blow off the rest of the afternoon. You may find that you will be more productive after a fun party because you are in a jolly good mood. I do my best work when I am feeling festive. Set up those appointments you have been putting off all year long. Meet those people who have been busy week after week; chances are you may catch them with more time during the days leading up to Christmas because work has slowed down. If you catch them in their holiday jolly mood, you may actually seal that deal. I find it easier to tie up loose ends with my business in the days between Christmas and New Year’s Day. Give it a try this year. Corine Sandifer,owner of a Coaching/Consulting business, has a full family life with kids/sports, appointments, school events, meetings, and carpools, and she still manages to enjoy the holiday season.